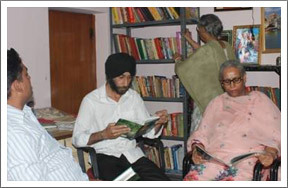 Maintaining a Library to spread the awareness of socio economic environment, culture, language, history and spiritual existence. In this Library people go in their free time and read books as per their choice. 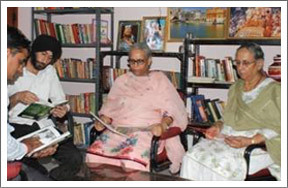 Reading habit helps the people to develop their thinking mental ability.